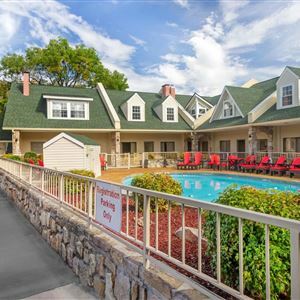 Property Location With a stay at Econo Lodge Inn & Suites at the Convention Center, you'll be centrally located in Gatlinburg, steps from Gatlinburg Ziplines and Arcadia. This hotel is within close proximity of Iris Theater and Ripley's Believe It Or Not Museum. Rooms Make yourself at home in one of the 57 air-conditioned rooms featuring refrigerators and LED televisions. Complimentary wireless Internet access keeps you connected, and satellite programming is available for your entertainment. Private bathrooms with shower/tub combinations feature complimentary toiletries and hair dryers. Conveniences include complimentary newspapers and microwaves, as well as phones with free local calls. Amenities Enjoy the recreation opportunities such as an outdoor pool or make use of other amenities including complimentary wireless Internet access. Dining A complimentary continental breakfast is included. Business, Other Amenities Featured amenities include complimentary newspapers in the lobby and a 24-hour front desk. Free self parking is available onsite. 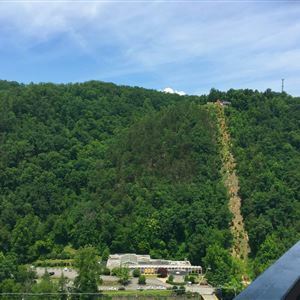 With a stay at Econo Lodge Inn & Suites at the Convention Center, you'll be centrally located in Gatlinburg, steps from Gatlinburg Ziplines and Arcadia. This hotel is within close proximity of Iris Theater and Ripley's Believe It Or Not Museum. Make yourself at home in one of the 57 air-conditioned rooms featuring refrigerators and LED televisions. Complimentary wireless Internet access keeps you connected, and satellite programming is available for your entertainment. Private bathrooms with shower/tub combinations feature complimentary toiletries and hair dryers. Conveniences include complimentary newspapers and microwaves, as well as phones with free local calls.